Not unlike the title of the movie, Seth Rogen also thought it would be a ‘Long Shot’ for Charlize Theron to star in it. During an interview for ET, the funnyman confessed that working with the well-known actress had been a longtime goal of his! That being said, it seems like it took him years to see that dream become reality. ‘I really only wanted to make this movie with her, and it took me 7 years to get successful enough to get Charlize Theron in the movie,’ Rogen admitted to the news outlet, with a laugh. But as it turns out, Theron has been wishing for a project with Rogen for a long time as well! ‘I’ve been a huge Seth Rogen fan,’ the actress assured everyone. As for the film, it’s a romantic comedy that stars Rogen in the role of a journalist crushing on his former babysitter who is now running for president! This marks Theron’s first leading role in a lighthearted film like that. ‘I’m usually in movies where a lot of people die. So I said, ‘I think this could be fun,’ she said. In fact, Theron and Rogen are also the producers of this new project which, as Rogen explains, is supposed to take it back to the basics of comedy. ‘What if we made the kind of movie I grew up watching that is actually romantic and actually funny?’ the actor asked. The movie is set to hit theaters on May 3. 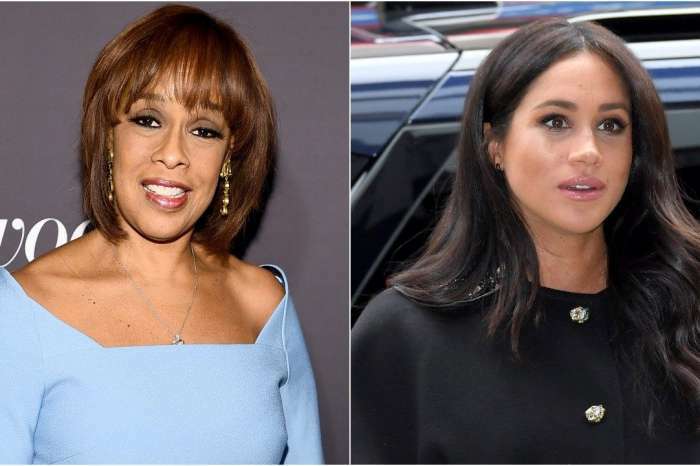 Gayle King Also Thinks Meghan Markle Has Been Treated Unfairly By The Media - Agrees With BFF Oprah Winfrey!